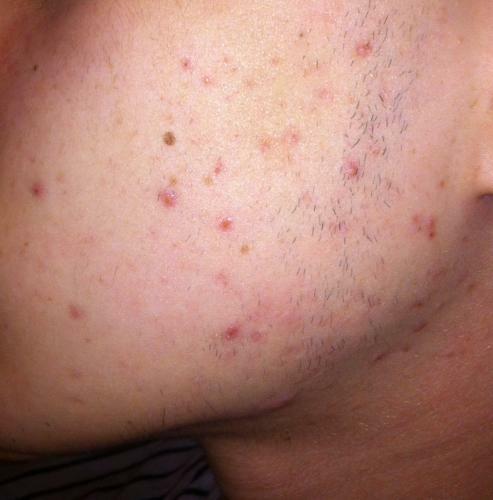 I've been stuck with this kind of acne since about a year after my accutane treatment. 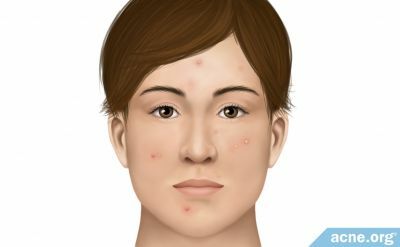 Accutane cleared my face up entirely but ever so often I get a flare up that looks like in these pictures, that calms down a little and flares up again. I am using very minimal products, just a face wash (tea tree oil) and moisturizer (with salicylic acid). This worked fine after my treatment but now it doesn't seem to be doing anything. I bought a BP spot treatment that I applied at night but it made things worse. I don't know what to do to fix this problem but It feels like if I can figure out what's wrong it will solve the issue. 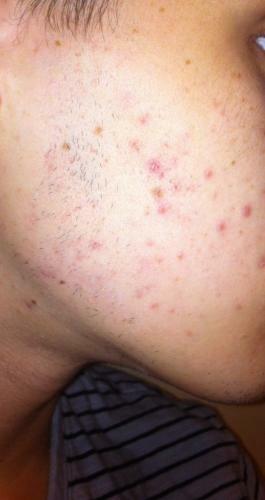 Is it possible that my face is just too dry (using BP dried it more and more acne came)? Anyone had anything similar before? Some find that sulfur products are better for comedonal acne than BP or retinoids. Sulfur is not quite as drying as BP. You can get tubs of sulfur cream for $10 at Walgreens. It's called De La Cruz Sulfur Ointment. I randomly came across sulphur soap on amazon I had never heard of it before. It's the best product i've used for cleaning my skin. I wash with it twice daily and along with my antibiotics it seems to really help with spots/scars. The bar of soap lasts for months as well. I haven't been able to make any progress at all. Does anyone have any more ideas? The acne is still only in those sections of my face and nowhere else. I really don't want to revert back to how I looked before Accutane so this is causing me a lot of stress.